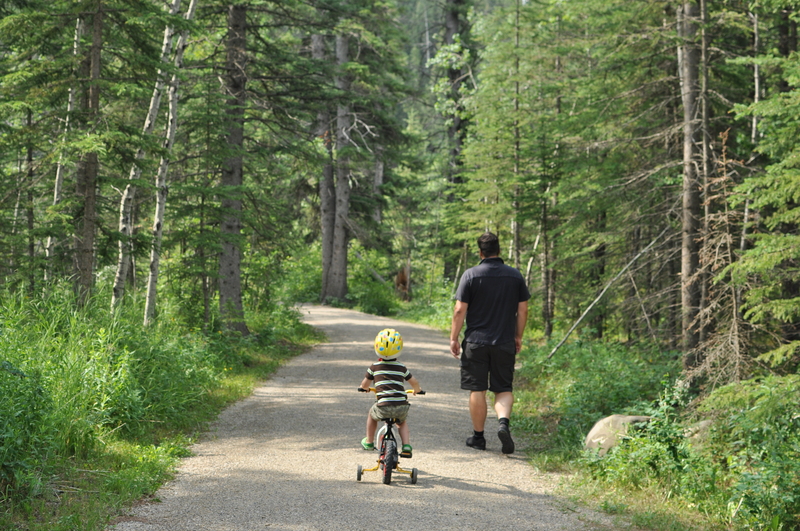 It was Saturday morning and the oppressive* heat had abated somewhat, so we continued our clumsy quest to become ‘an outdoorsy family’ and ventured to Fish Creek Park. With boys and bikes in tow. Of course, saying ‘we went to Fish Creek Park’ makes it sound like that was the plan all along. That we woke up and said ‘let’s go to Fish Creek today’, but that’s of course not how it happened. The Johnsons don’t really operate that way. It was more of a ‘let’s go on an outing’ followed by the arduous process of readying the boys, gathering their bikes and helmets and piling everyone and everything into the van. And the professor asking, while reversing the van onto the road, ‘where should we go’, and moi saying ‘I don’t know, where do you want to go’. 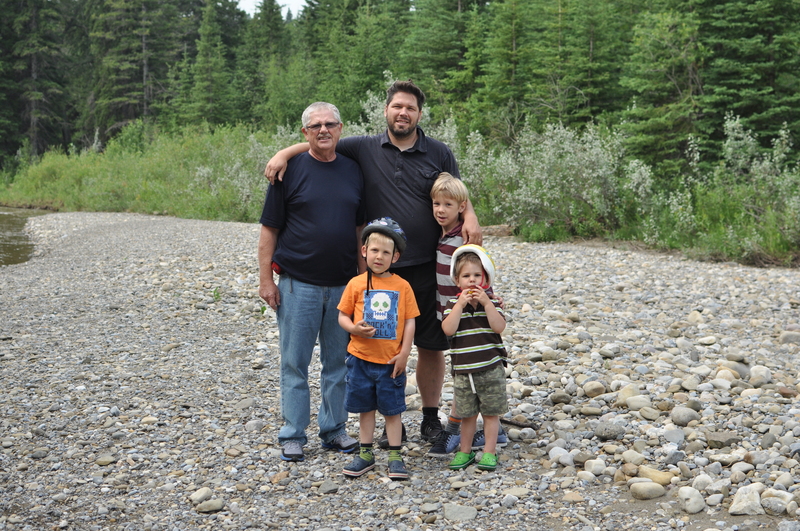 At which point we surveyed the boys and one said ‘I don’t want to go to Edworthy, I want to go to North Glenmore’ and another said ‘I don’t want to go to North Glenmore’ and that’s how we ended up at Fish Creek. Just as we turned into the park entrance, I had a flashback to last summer. And the summer before that. But it was. The terrorists were out and looking for blood. Johnson blood. At one point the Hen was desperately trying to ride his bike with one hand while swatting madly at the determined insects seriously lacking in social skills. 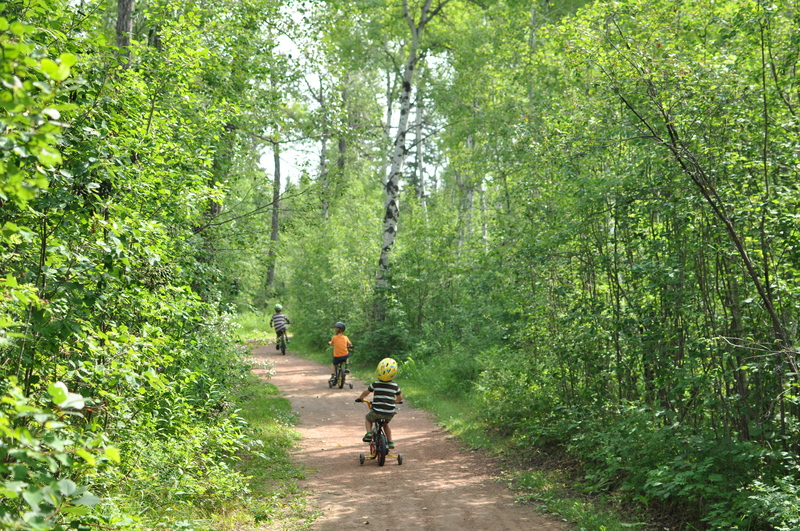 He even fell off the bike – going too fast around a curve – and emerged from the side of the trail as if it had been nothing. Nice picture of the Johnson men! WOAH! A bike with training wheels already? P doesn’t mess around. I know, who does he think he is? !